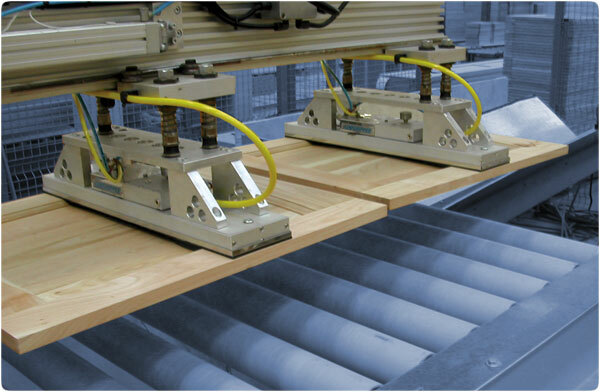 UniGripper TimberGribber is specially designed and optimized for wood-handling. TimberGripper is equipped with UniGrippers well known patented valve-technology, that automatically sensing the position of the product and activating the lifting force. TimberGripper is also equipped with an effective dust-protection system and a powerful reverse-blow function. 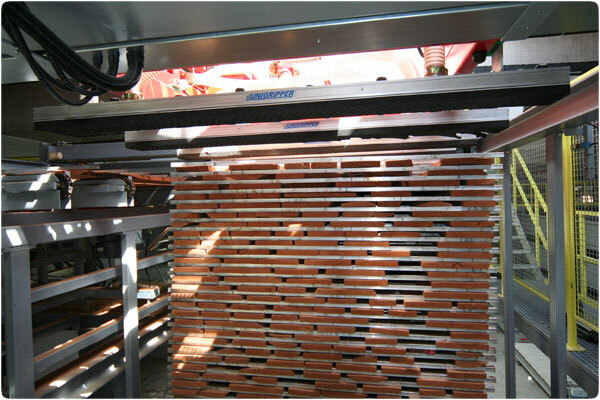 TimberGripper offers a wide, versatile and reliable solution with high throughput in your system. The robust and solid design makes it well suited for the tough environment in wood-handling. 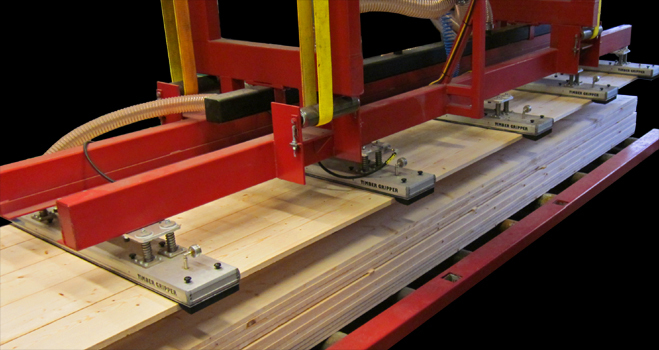 TimberGripper is avail-able in several standard models and is possible to customize if needed. 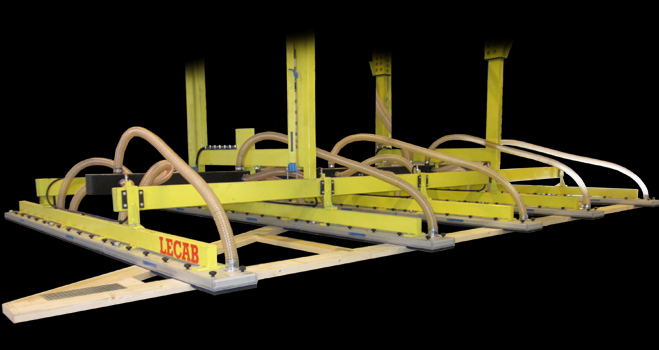 TimberGripper has the Foam Carrier quick-change system for the suction rubber and is delivered with a complete power-supply package, electrical or pneumatic, and with necessary accessories, as floating attachment, rotary joints etc. 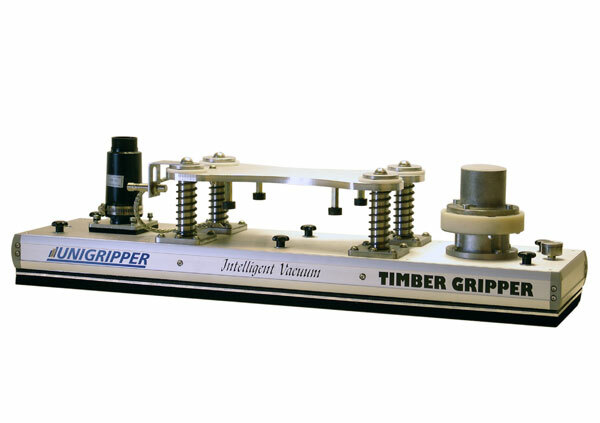 The UniGripper TimberGripper can be delivered in any size your application requires. For many applications, however, we see that the optimum size and valve configuration is approximately the same. That's why we offer the TimberGripper in some standard configurations. 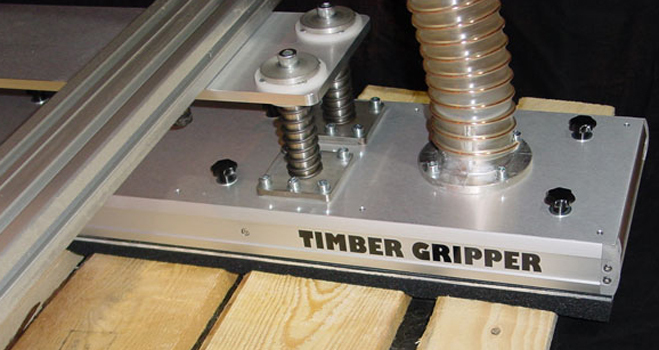 TimberGripper Standard means minimized development and production costs and extra short delivery times. In the adjacent tables the available standard configurations are presented. 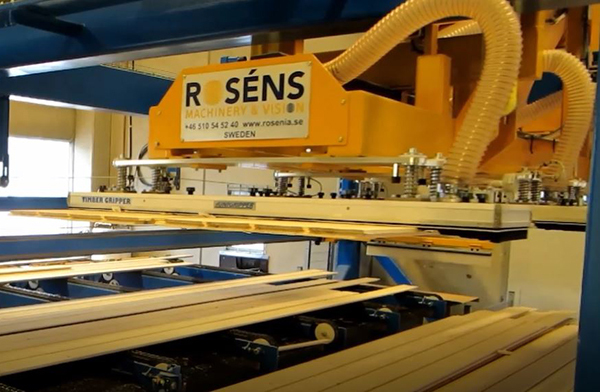 Together with the TimberGrippers, we supply side channel blowers for vacuum creation, as well as vacuum hose and divider pipes for vacuum distribution when multiple TimberGrippers are used together in one installation. 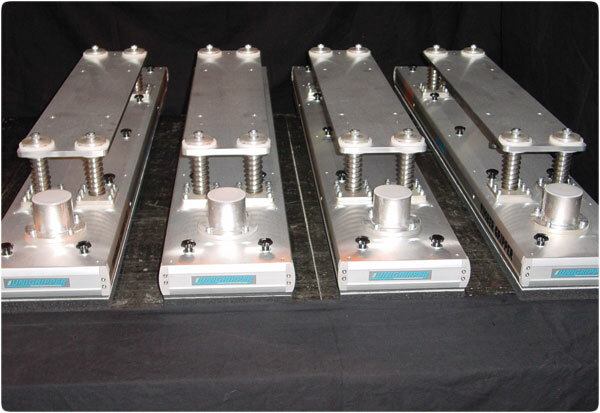 Contact us to get an offer of a vacuum gripper system for your application, drawings of the standard TimberGrippers for inclusion in your project, etc. 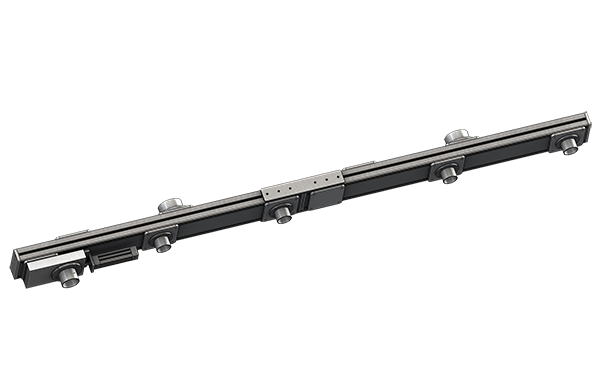 Our distribution pipes are made from aluminum profiles, which give a flexible system at low weight that is easy to install. The distribution pipe is available in a standard design suitable for most applications, but customized variants are also available. The distribution pipe can in addition to standard hose connections be equipped with slide valves, reversing valves etc. depending on the needs for you applications.